​The best value going! The Walnut model includes an external knob to adjust the pressure on the internal snare wires, allowing for the snare to be turned off completely. The Mahogany model contains four internal snare wires arranged in two v-shapes running down the front plate, as well as a set of small adjustable bells that can be moved to touch the front panel if desired.The wires’ tension can be adjusted via two small hex bolts on the bottom with necessary hex key conveniently supplied and housed inside the drum. And heavy-duty rubber feet ensure ample bass tones don’t get lost in the floor. To top it all off, a free quality Gon Bops gig bag is included! Walnut model includes an external knob to adjust the pressure on the internal snare wires, allowing for the snare to be turned off completely. Comes with Free Bag and Cushion Pad. 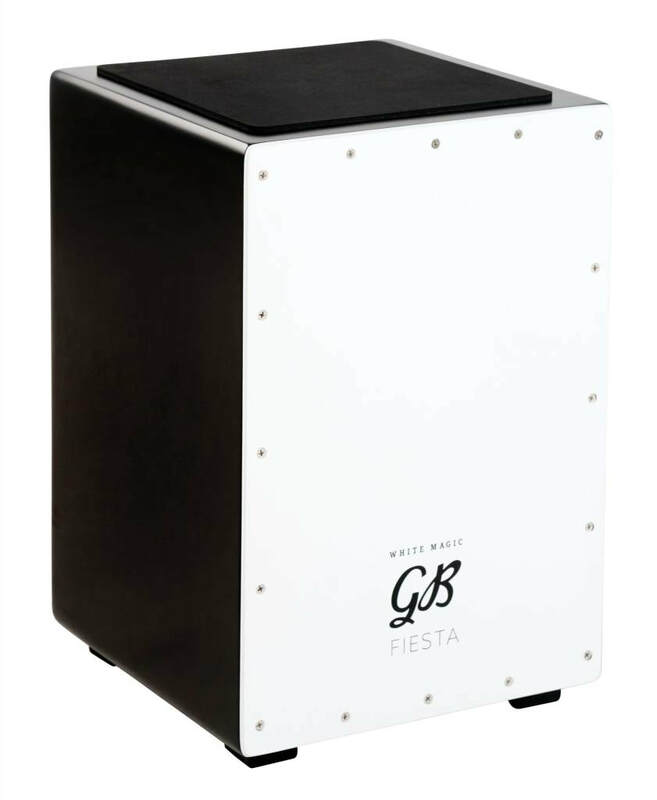 Offering unprecedented quality and tone at this price point, the White Magic cajon features internal snare wires, extra-large rubber feet for superior isolation, a rubber seat pad and a size and form factor that is beginner friendly. Its fresh colour and design has been chosen to make a bold statement wherever and whenever you play. These Cajons are handmade in the legendary Gon Bops Peru Factory. Peru is the originator of Cajons and Gon Bops Peru Cajons are simply the best money can buy. 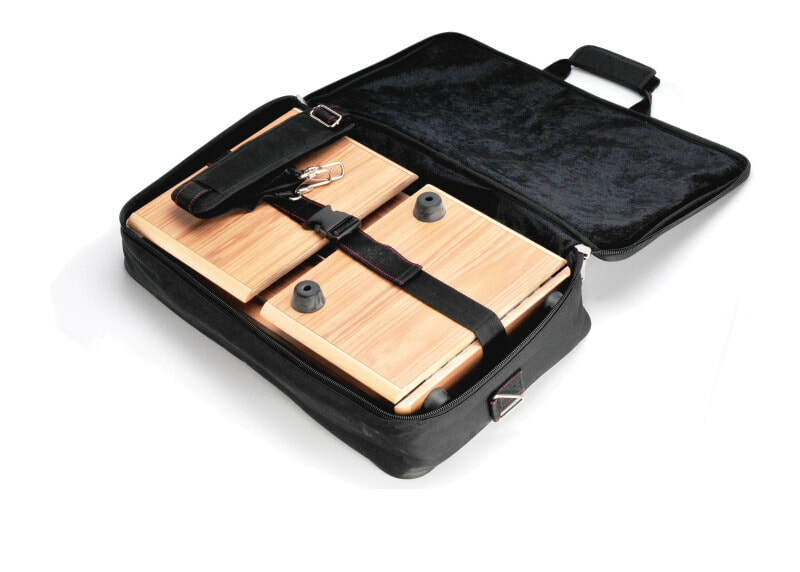 ​An authentic Spanish Flamenco Cajon crafted from lightweight wood and featuring internal guitar string wires. To keep the wood as light as possible while maintaining strength, a wide wood brace is used. As a result, the tone is pure Flamenco! Each Cajon is meticulously handcrafted and tested in our Gon Bops Peruvian shop by skilled artisans. Includes a seat pad and FREE gig bag. 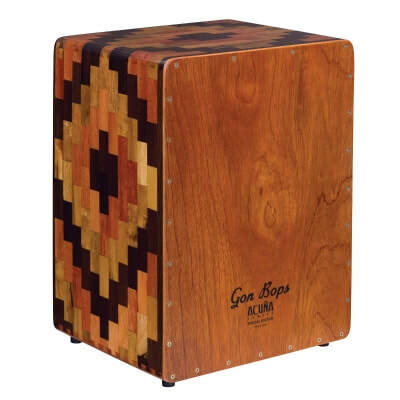 ​Blending the Flamenco tradition of Spain with the authentic Folk tradition of Peru, Gon Bops has created a remarkable Cajon that boasts two playable panels. A unique sideways sound port design allows performers to play either the front or back panel...or both. The Flamenco side provides guitar string wires while the traditional side does not. For bigger, tighter bass response, the traditional side features a partially sealed playing panel. The Flamenco side also maximizes bass response with diagonally placed snare wires for reduced snare buzz. Includes a FREE gig bag!